The Public’s Confidence In The Media. Possibly the one thing we do the most of at University. 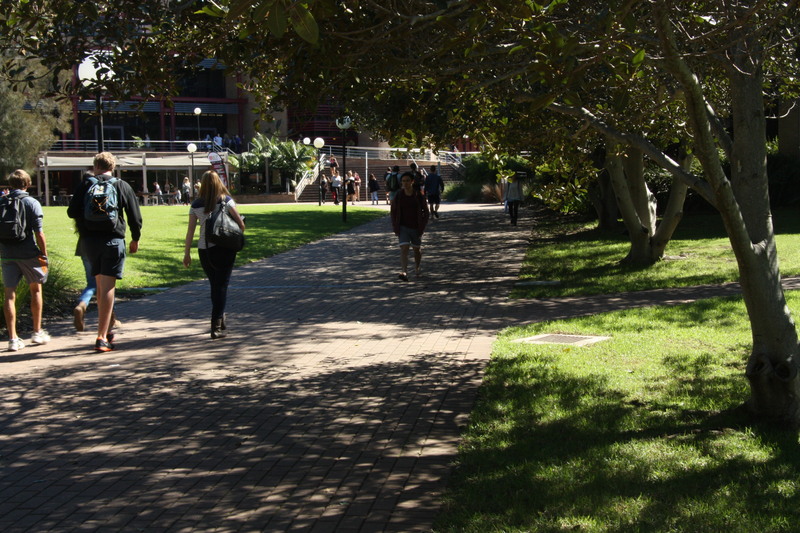 Walking in between classes is the task that every student must to to complete their course at Wollongong University. This photo shows shows students proceeding to walk towards the Mckinnon building possibly for their next lecture of tutorial. I think this photo really captures the true aspect of University life because it shows students in a relaxed manner, having a laugh with friends whilst enjoying the perks of University life, such as the park next to them and the big trees overshadowing the pathway. I believe that University is a chilled out sort of place and i think this photo really captures that aspect. Posted on April 18, 2014 by blakecfisher	Bookmark the permalink.